Romeo and Juliet has been given a 21st Century makeover by the Royal Shakespeare Company (RSC) with an urban set and contemporary themes that have particular relevance in the wake of London's recent wave of stabbings. The new production opened at the Royal Shakespeare Theatre in Stratford upon Avon, where it stays until September before moving on to London's Barbican Theatre from November until January 2019. Erica Whyman, the Deputy Artistic Director of the RSC, is behind this exciting new version of Romeo and Juliet and refreshingly directs a cast that looks and acts as young and impetuous as the characters are meant to be. Since taking over the RSC role five years ago, Whyman has directed an impressive mix of works that tap into modern day values including The Christmas Truce in 2014 and A Midsummer Night's Dream: A Play For The Nation in 2016, to mark 400 years since Shakespeare's death. 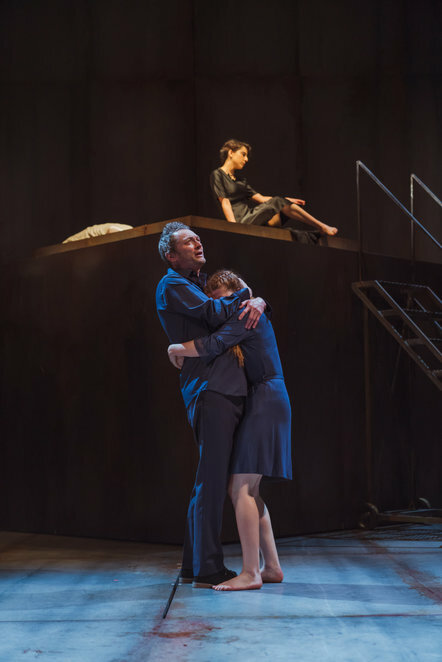 For Romeo and Juliet, Whyman said she wanted to put the story "into a world as close to our own as possible", so that teenagers at a similar age to the star-crossed lovers could recognise themselves. If that was the aim, she has hit the target as this is a fresh, relevant and realistic take on the play that puts heavy emphasis on the aggression and violence, rather than the romance. Admirably, this production casts females in some of the key roles instead of men to fit in with the contemporary setting. It works well with Beth Cordingly as Escalus and Charlotte Josephine as Mercutio, although I found Josephine's portrayal a little annoying. Too one dimensional with constant shouting. Romeo and Juliet opens with a relatively bare stage apart from a striking large cube. It manages to convey the concrete jungle of any modern day city and instead of the balconies of Verona, Juliet climbs out of what could be her loft conversion bedroom on to the top of the cube to be serenaded by a shy Romeo. Amid this cityscape, the only vibrant colour comes in the green space of Friar Laurence's peaceful, garden retreat. The funny touches of teenage shyness are wonderful and give the piece an added zest of humour. Moments like Romeo bracing himself and then losing his nerve to talk to Juliet and she, in turn, being dizzy with excitement, as a young teen would, at his adoring advances. 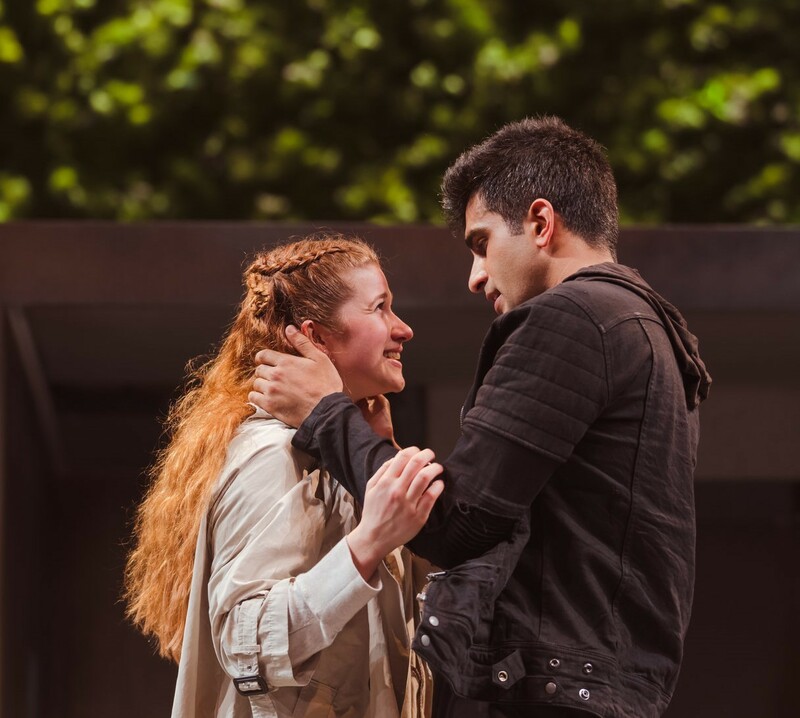 Bally Gill, playing Romeo, and Karen Fishwick as his Juliet have a sizzling chemistry. They are both animated and exciting actors alone, but together, they are even better. There's an electricity between them that brings alive the stage. It's the other relationships in this adaptation, however, that are of the most interest. Benvolio's lust for Romeo is told in a comic way, while Whyman has created a complex unease between Juliet and her mother. She seems achingly distant and detached from her maternal role, leaving the Nurse to fill that void. There's a particularly powerful scene where Nurse (an impressive Ishia Bennison) is playfully joking with Juliet, with the two of them practically rolling on the floor in laughter as Juliet's mother stands uncomfortably stiff as an outsider in her own home. Meanwhile, Juliet's relationship with her father verges on the abusive when he demands that she marries Paris and bullies her into submission, grabbing her brutally before throwing her across the floor. 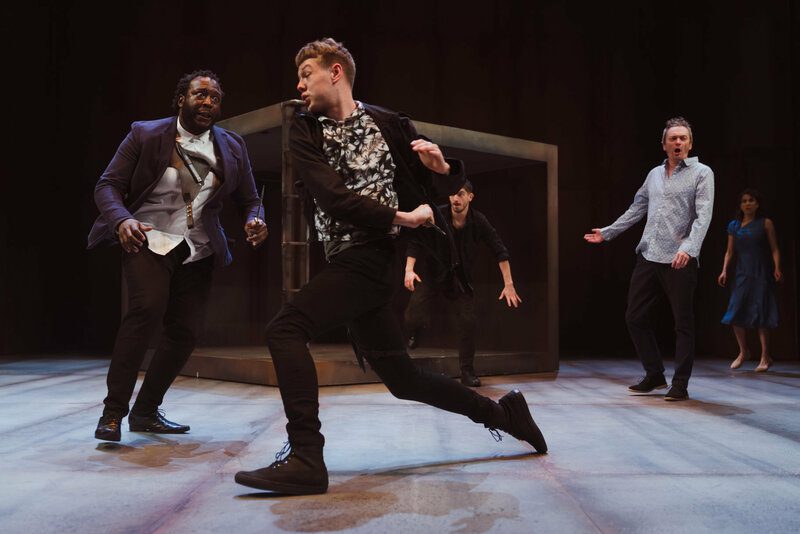 It's a startling moment that stuns the crowd, and is just one of the ways that this production has reworked an age-old text into something that seems so new. In terms of the houses of Montague and Capulet, their youths stalk around in hoodies, never out without a knife strapped to their leg or arm. It's gang warfare with all the bravado, dissing and banter that comes with that kind of street life. It makes the story so much more relatable to younger generations, as does the soundtrack, which has an element of grime to it. Talking of young people, it was good to see that pupils aged from 12 to 18 from local schools in Birmingham and the wider Midlands were on stage and part of this production. Whyman made use of amateur actors in her Midsummer Nights Dream and this time she's giving the next generation of actors the chance to shine alongside the professional cast for brief periods during the play, which adds to the youthful element of this production. 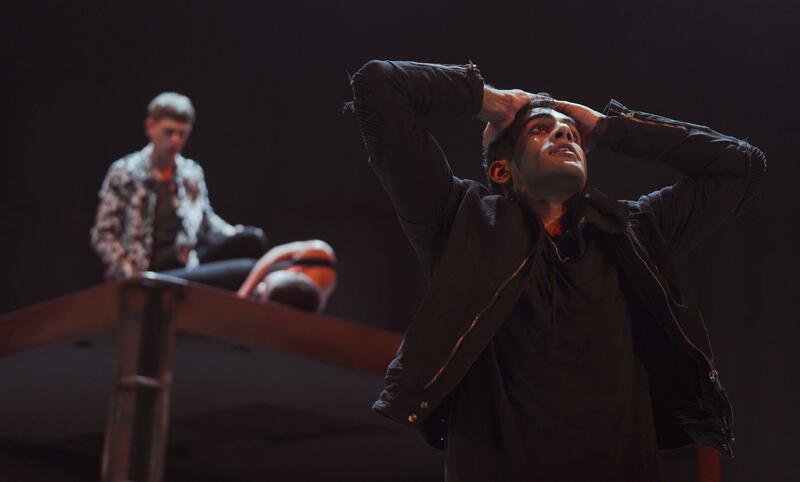 Romeo and Juliet has been modernised in many ways before, but this new production feels refreshed because it focuses on not just the contemporary appearance and setting but also the essence of being relevant to the young. This isn't so much about the love story as the aggression, violence and attitudes to it within a society, and its deadly repercussions. Romeo and Juliet will also be broadcast live from the RSC to cinemas on 18 July.